For superstructure design, once the type of structure has been selected via an options appraisal, a detailed design can be progressed. Met Engineers use various 2D & 3D modelling with structural analysis & design software such as Masterseries, Revit, AutoCad & Fastrack. We can rapidly analyse loads on a structure in order to generate the most economical and practical design solutions. The software integrates to allow the direct output of detailed drawing information from the analysis phase. This facilitates transfer to other members of the design team such as architects and M&E consultants. 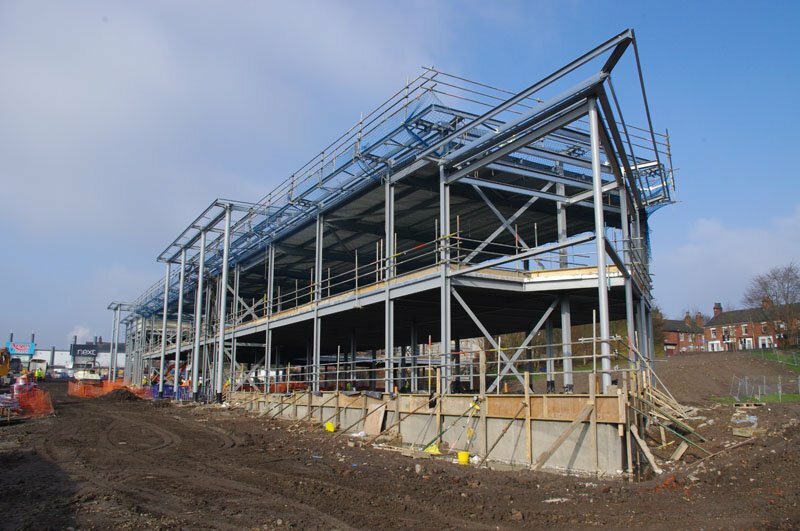 Met can analyse and design framed buildings in concrete or steel with rigid frames, braced frames or portal frames. Under Building Regulations, where buildings exceed 4 storeys, additional strengthening requirements are necessary to ensure a building will not suffer excessive damage in the event of an accident. Met Engineers can apply these requirements to all types of structure including load bearing masonry. Traditional forms of construction are often most cost effective for low rise structures. Met Engineers have a wealth of experience with this type of structure. Met will consider timber, precast concrete, in-situ concrete and metal deck composite for suspended and upper floors.